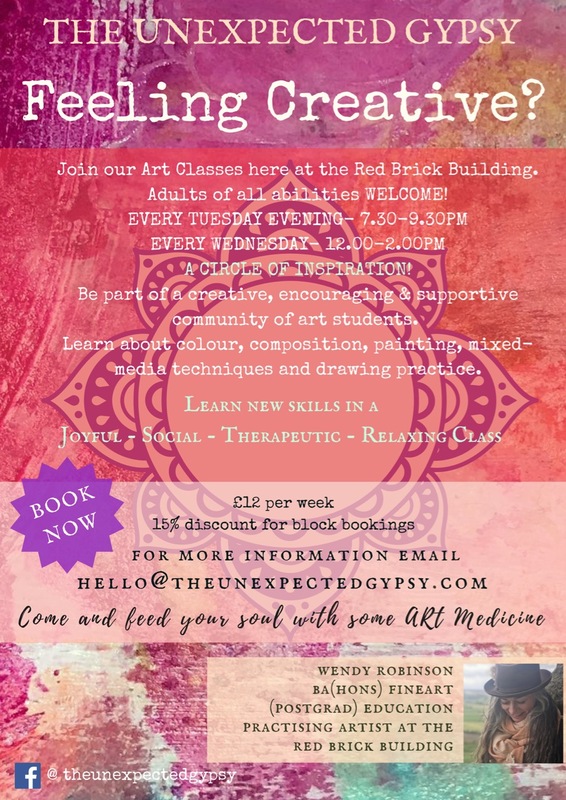 Join our weekly Art Classes here at the Red Brick Building. Be part of a creative, inspiring and supportive community of art students. Be BRAVE! 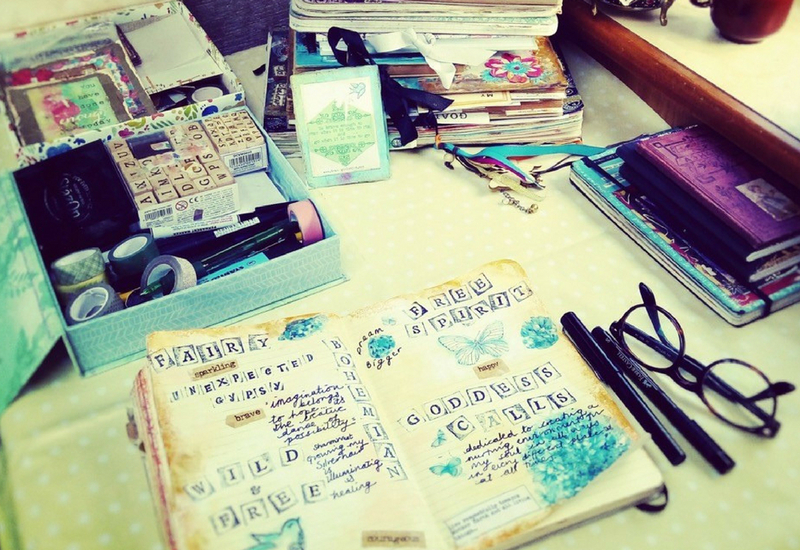 Overcome your fear of the blank page! 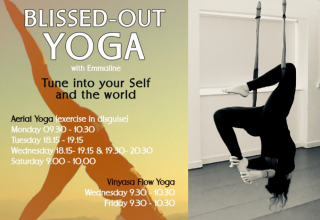 You are welcome to attend every week or dip in-and-out (flexi-time!) to fit into your schedule. In class we will be learning how to make mixed-media paintings. We will delve more deeply into the layering process, discovering the unique qualities of each art material. We will learn which principles to apply and how to make decisions about what medium to use and why. This includes working in; Art Journals, writing notebooks and also creating landscapes and figurative pieces on canvas, boards and larger paper. We will learn about colour, composition, painting, mixed-media techniques and drawing practice. Come and feed your soul with some Art Medicine.